has found yet another therapy that could help in the recovery of the Women of our World. With the holidays upon us, we will need all the help we can get; during this time of commercial push, family gatherings, extra meal preparations, added expenses, the ‘perfect’ Gift, add cocktails and more……a perfect mix for potential STRESS. Childlike Playfulness has always been recognized as one of the blessings in a spiritual recovery, regardless of the cause for the need to recover. When in the ‘eye of the storm’, it may not always be so easy to BE civil, let alone playful. Have no fear, as You are Not Alone…. The following information will offer a tool that seems to be working for thousands of people around the globe. This exercise is YOGA; and yes, we have all heard or tried some form of Yoga. Here’s the difference! 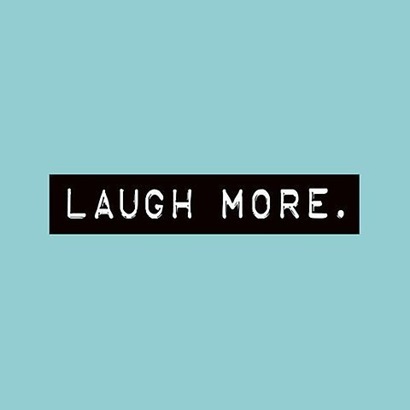 This therapy puts a whole new spin on: FAKE IT ’til You MAKE IT…..
Have you ever heard of LAUGHING YOGA? Throughout India, thousands of Laughter Yoga Clubs meet every morning in public parks. Most Laughter Club members proudly report that they have not missed a day in five years or more. They say it makes them happy, healthy and energized – effecting a transformation in their lives. The Laughter Yoga session each day, results in positive energy that makes it easy to cope with stress of daily life and saves them from depression. In fact, the impact of laughter is so profound that many practitioners claim they no longer need anti-depressants. The sustained positive emotions keep them coming back for more. 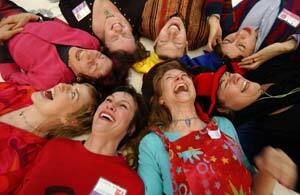 Participants of Laughter Yoga report significant general health improvements. Many have felt a reduction in the frequency of respiratory infections like common cold and flu, and some others reported overcoming depression, relief/cure from chronic medical problems. With people’s committed participation, Laughter Yoga has helped many people become healthier. Scientific research reveals that Laughter can help resolve many major issues at the workplace, yet, till now there has been no reliable and effective system to deliver laughter. Humor was the only tool available, but it is not reliable and seldom leads to continuous hearty laughter. Laughter Yoga is a breakthrough laughter delivery system that can enable a person to laugh continuously for 15 to 20 minutes with short breaks of Yogic Breathing. Many Laughter Yoga professionals have presented sessions to the business community, with positive results. The concept is gaining popularity in companies and corporations in India, Denmark, US and many other countries. It is a powerful force for improving staff performance at the workplace. This was recently confirmed by studies in India and the USA, that showed a substantial stress reduction and enhanced productivity by the staff after just three weeks of Laughter Sessions.